In the midst of winter all is in retreat, hibernation is upon us many animals and plants alike. The frost is advancing crystal by crystal across the land except there is a nook kept cosy, a hearth maintained and stoked to warm the artistic soul in us all. 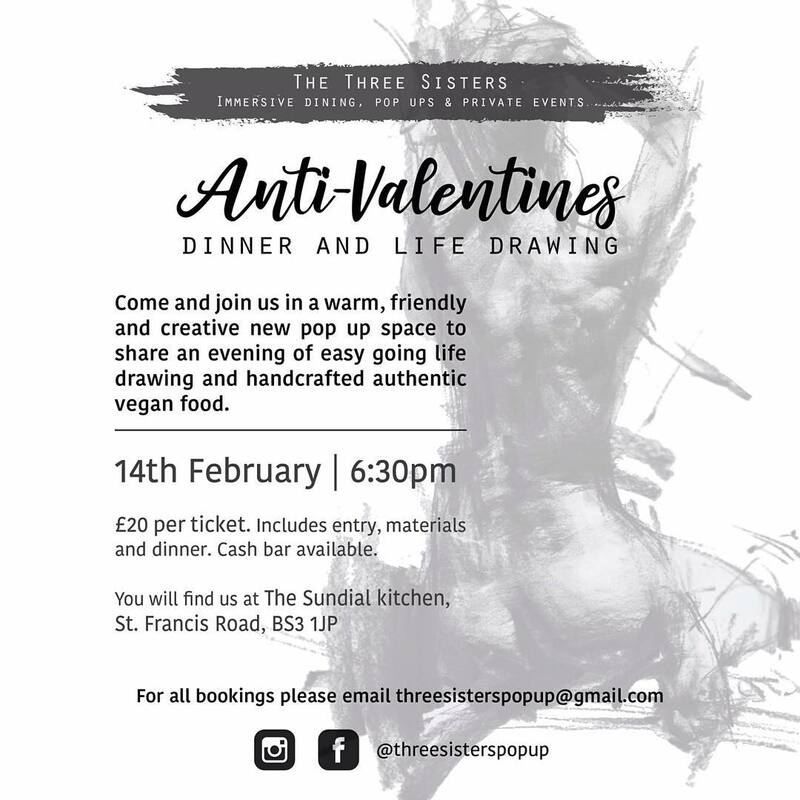 Let THREE SISTERS & SUNDIAL KITCHEN rekindle your year with an evening of warm welcoming creativity in a casual and friendly atmosphere. An evening of easy going life drawing for all abilities and a stunning, handcrafted, vegan and gluten-free coconut Thai curry.